The difference between a store that sells Big Green Eggs and a true Big Green Egg Dealer? We are an authorized Platinum Big Green Egg Dealer, which means we know more about Eggs, have more Eggcessories, and can teach you to have a better EGGsperience with your Egg than anyone in the area. With over 11 years EGGsperience, and a staff that owns and cooks on Big Green Eggs, we can answer questions, give advice, teach tricks, remove doubts, and get you cooking like a seasoned “Egghead”. We are the EGGsperts! Grilling? Roasting? Smoking? Baking? YES! It’s truly EGGciting! 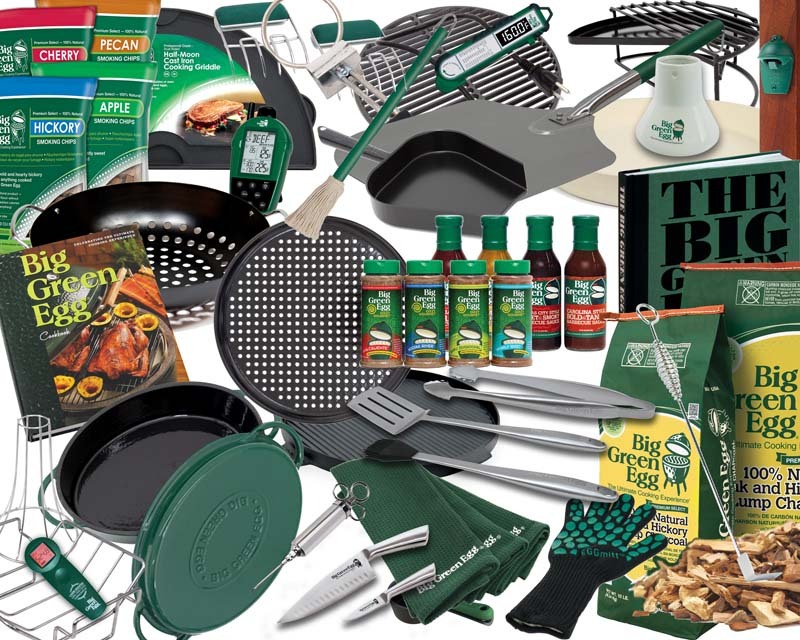 Big Green Egg has over 140 EGGcessories that help you do things you’ve never dreamed of with your egg. Come by our store and see the wide selEGGtion to add to your Egg enjoyment.